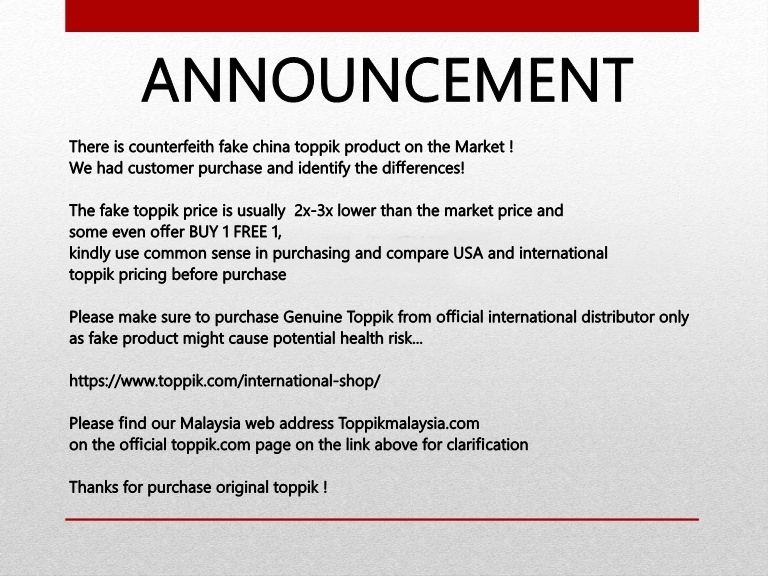 With the proliferation of counterfeit toppik product , a growing number of consumers in malaysia as well as oversea who use online e commerce platform to buy toppik may be at risk for taking fake toppik product that can result in serious health complication and risk . 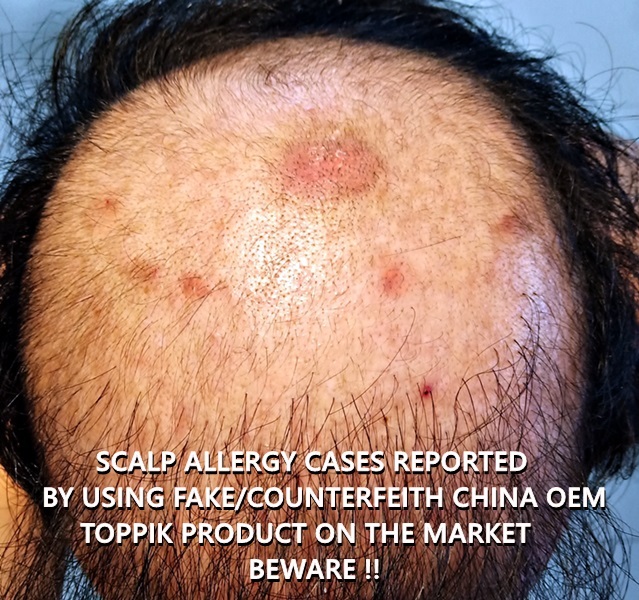 Our Company Global Hair Solution is the Official Exclusive Distributor for Toppik in Malaysia ,If Someone is selling Toppik at a price that too good to be true , they are not from us and sources can be from anywhere which may cause serious health risk! 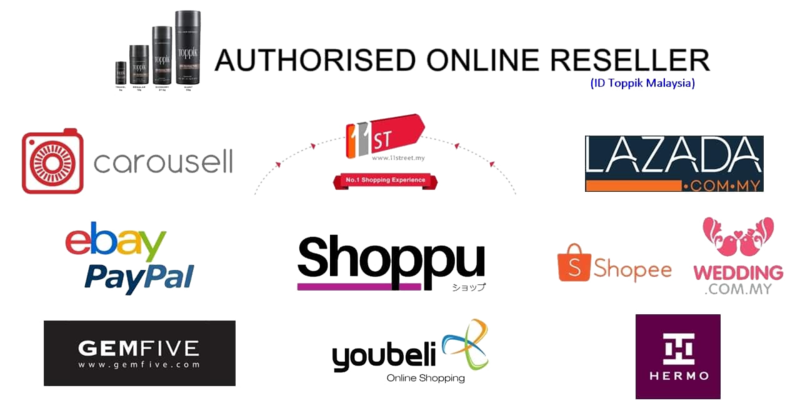 Always be careful when purchasing good from unknown sources as you may risk getting yourself into purchasing a counterfeith product ….. 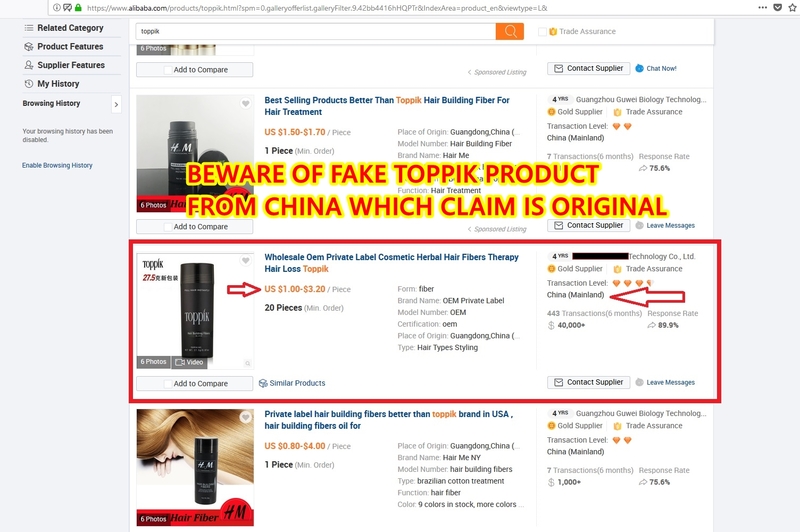 Note: There are counterfeit Toppik/hair fiber product on the market both locally and oversea, and the 3rd party pricing is even lower than our cost price ! 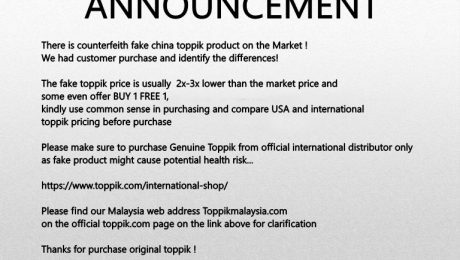 If Someone is selling Toppik at cheaper price , they are not from us and sources can be from anywhere which may cause serious health risk! 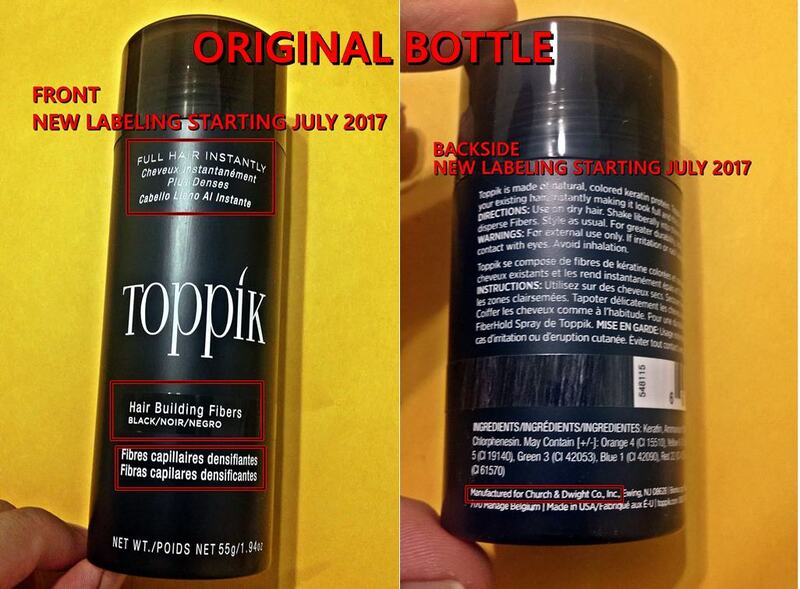 BEWARE OF FAKE PRODUCT ! P-G-002, Jalan 13/1, PJ Centrestage, 46300 Petaling Jaya, Selangor, Malaysia.